Thirty years ago, Hodgdon’s name was synonymous with the most-famous racing circuits in this country. If Hodgdon’s primary passion was turning a tract of dirt into a robust piece of real estate, his love for auto racing ran a close second. In the early 1980s, the Colton, Calif. native was well on his way to becoming the most powerful figure in stock car racing until he was forced to file for bankruptcy. Hodgdon had full or partial ownership of six race tracks. Races at the now-defunct Riverside (Calif.) International Raceway and Rockingham (N.C.) Speedway carried his name. He sponsored the late Neil Bonnett to compete in what is now known as the NASCAR Sprint Cup Series. 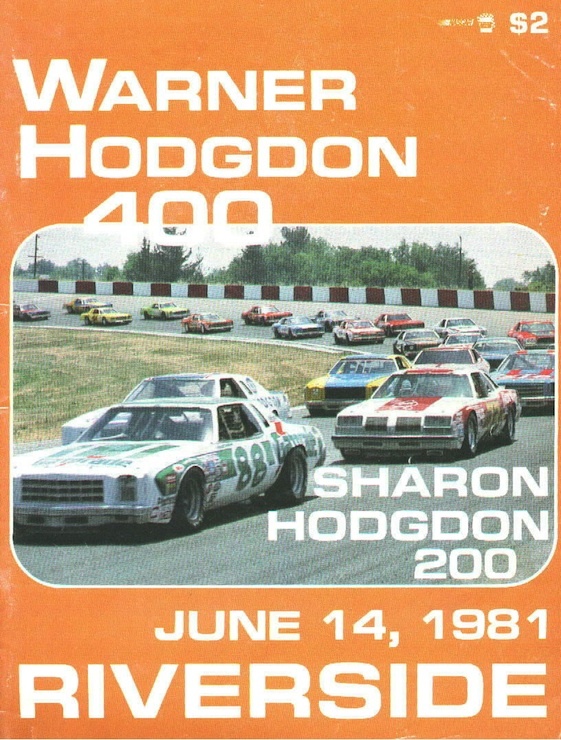 He even worked a deal to have the name of his wife, Sharon Hodgdon, tagged to a race sponsorship at Riverside. His sons were also involved in his racing empire in those days. Aaron sat on the board of directors at Phoenix International Raceway. Justin worked as a crewman on Hodgdon’s teams. Some folks in the racing industry were skeptical of Hodgdon after another supposed financial tycoon, J.D. Stacy, had arrived on the scene just a few years earlier. Stacy’s name was everywhere. It was common to watch a Cup race at the time and see coal magnate’s name plastered on five different cars. Stacy’s name was visible on seven cars during the 1982 Daytona 500. But after the bills began to mount, Stacy soon disappeared from the sport. Hodgdon’s credibility was on the rise following the announcement in November 1982 that he had purchased 50 percent of the powerful Junior Johnson and Associates racing team. Partnered with the legendary Junior Johnson, Hodgdon co-owned the team that fielded cars for Bonnett and Darrell Waltrip during the 1983 and 1984 seasons. But the majority of Hodgdon’s ties to auto racing came to an abrupt end in January 1985 after he filed for bankruptcy. I would still pay $$ to see Sprint Cup at Nashville and also, I want to see Southern Cal have a real Cup Home, like Mickey Thompson said. I feel no matter how hard Austin tries, she can’t be no Riverside. Race car sponsering has always been a quick way to turn a fortune into a shoe string .